After many years of preparation and hard work, Mr. Richardson’s advisory hit the jackpot with the elusive Double Bingo! Each student was rewarded with their pick from the book trough. 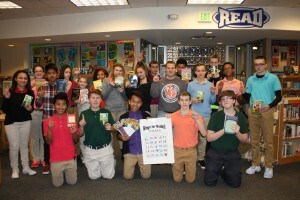 February is “READING MADNESS MONTH” at Perry Meridian Middle School, and Bingo for Books is just one part of the fun.